The Estacada girls basketball team drew close late in the third quarter only to lose its shooting touch down the stretch in a 50-30 loss Monday to the Colton Vikings — a top-20 team at the 2A level. 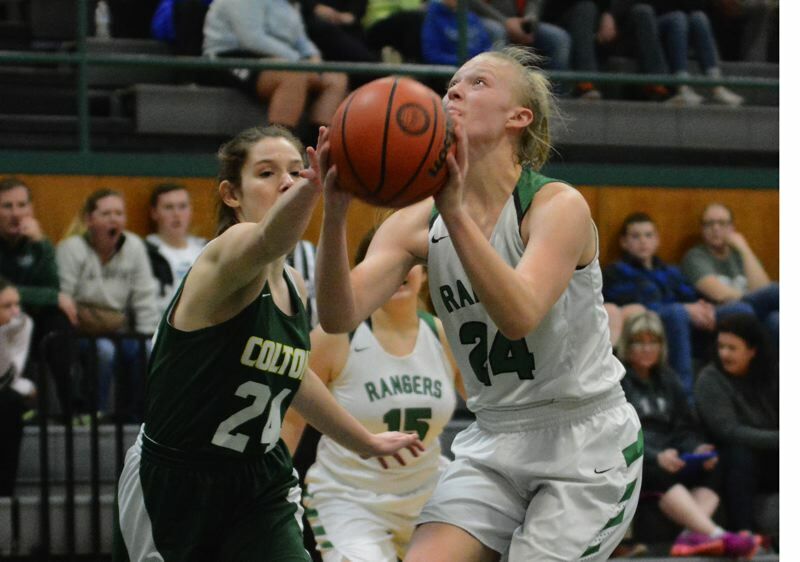 The Rangers finished the third quarter on a 7-0 run, highlighted when Izzy Hagel blocked a shot on the defensive end before moving down the floor and receiving a pass in the lane. The ball had just hit her hands down on the block when she heard teammate Rylie Canifax call for a pass. She fired the ball into the corner, and Canifax delivered with a 3-pointer to bring Estacada within 39-28 at the end of the period. "The defense was packed into the key. I saw the wide open corner and thought 'why not, let's see,'," Canifax said. "We went into the quarter break with nothing to lose, but Colton is a very fast team — they are going to go far this season." The next 11 points belonged to the visiting Vikings, putting the game out of reach when Maddie Travis scored with an underhand scoop for a 20-point lead as the clock ticked under four minutes. The Rangers wouldn't get their first points of the quarter until less than half a minute remained when Darla Crombie got loose inside and put one off the glass. Colton opened up to a double-digit lead in the second quarter with senior Becca Burge having the hot hand the entire night. She sank seven shots all from close range in the first half. In the second half, she moved to the high post, sitting in the center of Estacada's zone defense, where she knocked down three more buckets from near the free-throw line. "Nothing was going in during warmups, but I guess the pressure of the game got me going," Burge said. Estacada battled to stay close with Hagel finding her way to the rim on numerous occasions to score a team-high 10 points. "We would set up the screen and roll, and the key opened up for me to score," Hagel said. She also finished with five blocked shots — one of those coming out at the 3-point arc. "I try to keep enough distance to avoid the foul, while also getting a hand up in their face," she said. 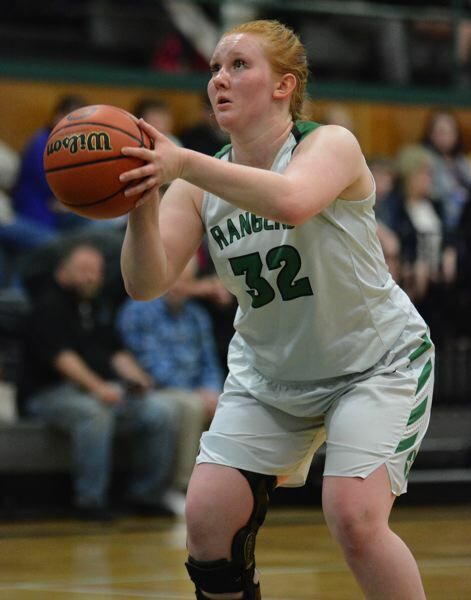 Teammate Makaelyn Jennings connected on a pair of 3-pointers early in the second quarter, but the Rangers still found themselves down 16 points heading toward halftime. Canifax brought Estacada closer heading into the locker room when she split a pair of defenders and launched a 3-pointer from the top of the arc. The shot came off the rim, but a whistle sounded at the horn. Canifax found herself alone at the free-throw line for three shots, while the rest of the players waited on the sideline. "It's a very nervous situation. You feel like all eyes are on you," Canifax said. "I didn't let it get inside my head. I took my time and all the noise went away." She patiently knocked down all three foul shots. The Rangers supplied another highlight early in the second half when Jennings swiped a steal in the backcourt, Canifax scooped up the loose ball and fed Hagel inside for a layup. 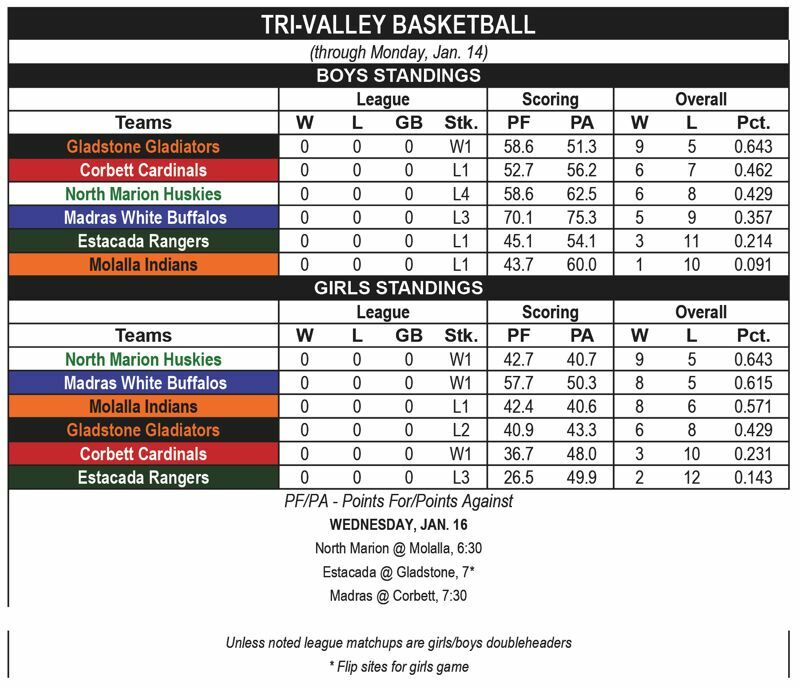 Still, Colton managed to grow its lead to as many as 18 points before Estacada stormed back late in the third. Colton (50) — Becca Burge 20, Olsen 16, Travis 4, Baker 4, Haines 4, Spitzer 2, Gates, Poet, Beguelin, Shapr, Weinberger. Estacada (30) — Izzy Hagel 10, Jennings 6, Canifax 6, Porter 2, Crombie 2, Burnett 2, Liber 2, Mireles, Gipple, Youngberg. This story is slated for our Jan. 17, print edition.